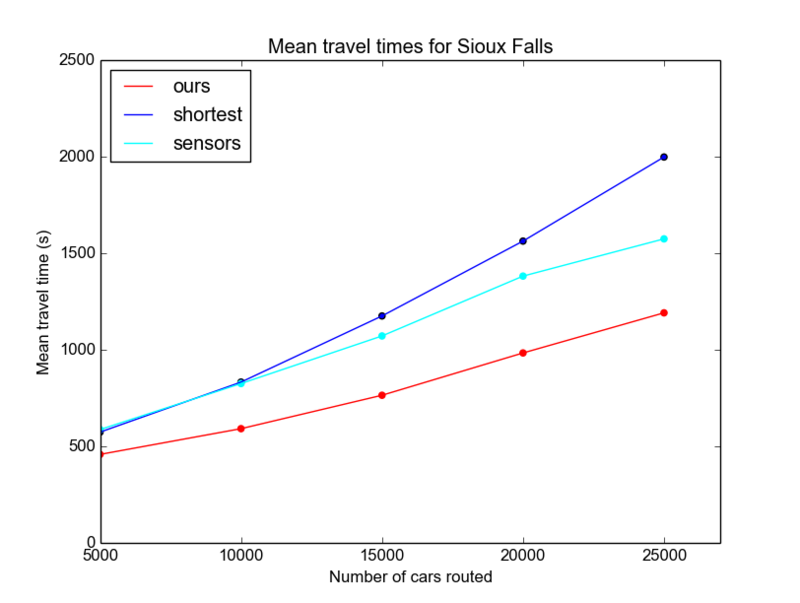 This figure shows the mean travel times for varying numbers of vehicles using our method, a shortest-path baseline (SP), and a commercial-like system using sensor data (SD). We observe that our method (red) outperformed both the shortest-path baseline (navy) and the commercial-like system with sensor data (sky blue). For more results, please refer to our full paper.